So I made this framed art by using photoshop to write out the quote and printing it on matte photo paper. 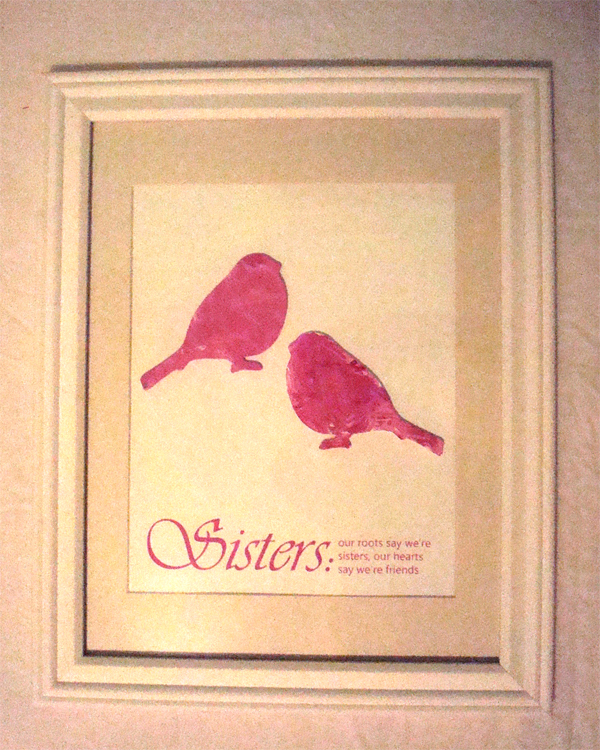 Then I got two little wooden birds from michaels, about 30 cents each, and had Gemma paint them with pinks and whites. I glued them in place when they were dry and framed the whole piece in a white frame with a white mat. This is so awesome Amy! I too know the bond between having a sister and its awesome!